Livex 1281-91 - The French Regency collection is an artistic blend of traditional styling and beautiful materials. The glass shades are a white alabaster, and the backplate incorporates multiple bevels. 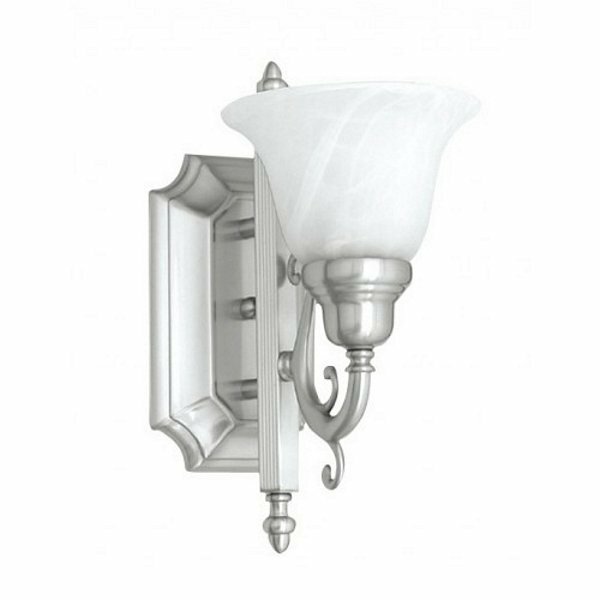 This bathroom wall light features a magnificent brushed nickel finish. This fixture may be installed facing up or down.